Custom foil-pressed cocktail napkins with a whimsical wreath, monogram, names & date! 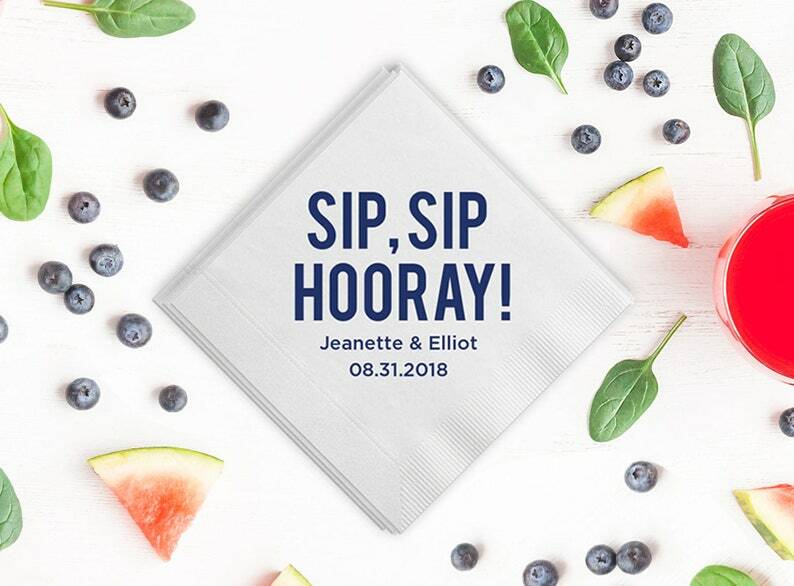 ❤️ DESIGN: The first photo in listing shows a white 3-ply cocktail napkin and Matte Navy Foil. The font used is Bebas for the SIP SIP HOORAY and Gotham Medium for the names and date. 💙 CLIP ART: If you'd like to add some clip art, please check out photos #6-10! ▶ For GUEST TOWELS, please see this listing: Coming soon!